The slang term “Muffin Top” is defined as the roll of fat visible above the top of a pair of jeans. Over the last decade we have heard this term used by men and women about their bulging bellies. “Muffin Tops” can certainly develop at any age, but they tend to become more of a problem as we get older. Our metabolism slows down and changing hormones cause an increase in the amount of fat cells we store in our stomach region, thus changing our body shape. How fast this transition can occur depends on lifestyle factors such as exercise, diet and smoking. Monitor Food Intake – This means avoiding fast food, processed food and sugar, as these can all be easily converted to fat. Eating balanced meals that are high in protein and fiber will help you fill up on fewer calories and keep you feeling full longer. Always drink plenty of water and never skip meals as this causes stress on your system. Exercise – There are plenty of workouts that claim to reduce belly fat, but it takes more than sit-ups and walking on the treadmill. High intensity workouts help reduce the amount of fat you can pinch while High Intensity Interval Training (HIIT) is more effective at burning over all fat. Research shows that HIIT workouts can reduce abdominal body fat more effectively than traditional cardio. Get Sculpted – For some of us following a healthy lifestyle that includes diet and exercise, just isn’t enough. We still have pockets of stubborn fat cells that just won’t go away. SculpSure™ was specifically designed for treating those trouble spots by using non-surgical body contouring. You can have your “muffin top” melted away in just 25 minutes. With SculpSure™ there is no downtime, so you can resume your normal daily activity, including exercise. The results can be seen in as little as 6 weeks with optimal results at 12 weeks. Get Sculpted Today with Clarksville’s Body Sculpting Experts! 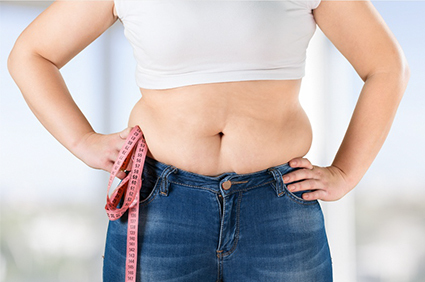 The team at Clarksville Body Sculpting and Aesthetics is here to help you get rid of that stubborn muffin top. To learn more about the procedure and schedule your FREE consultation with our team of specialists, call us at (931) 801-5217 or request an appointment online.